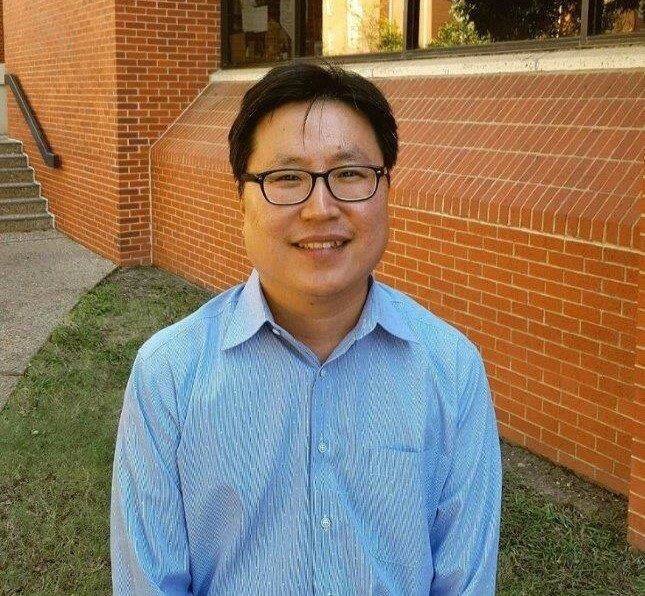 Jay Yoo, Ph.D., associate professor of family and consumer sciences and apparel merchandising in the Robbins College of Health and Human Sciences at Baylor University, was honored with the 2019 Leader Award from the American Association of Family and Consumer Sciences. 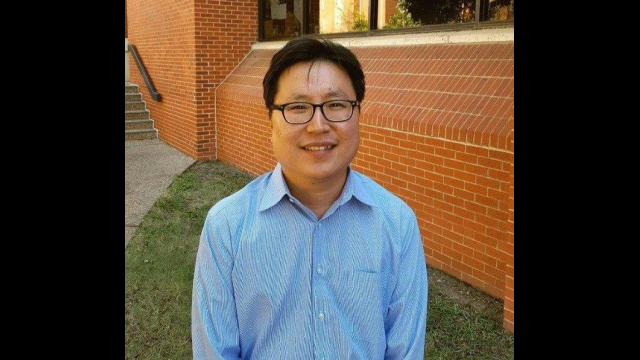 WACO, Texas (March 25, 2019) – Jay Yoo, Ph.D., associate professor of family and consumer sciences and apparel merchandising in the Robbins College of Health and Human Sciences at Baylor University, was honored with the 2019 Leader Award from the American Association of Family and Consumer Sciences (AAFCS) for his sustained leadership, service and involvement in AAFCS. Each state affiliate of AAFCS names a state leader each year who has served in the state association and has shown themselves to be professional leaders, said Janelle Walter, Ph.D., professor of family and consumer sciences and nutrition sciences program coordinator, who nominated Yoo for the award. Over the 87 years Baylor has had a department associated with the AAFCS, only Yoo and Walter have been recognized as national leaders. Sophy Mott, director of affiliate and member programs for AAFCS, said Yoo was commended in his nomination packet by his peers for excellent scholarship and willingness to serve, and AAFCS is proud that Yoo has been a member of their organization for 10 years. “Its mission focuses on providing leadership and support for professionals whose work assists individuals, families and communities in making more informed decisions about their well-being, relationships and resources to achieve optimal quality of life,” Mott said. As an expert in fashion merchandising, apparel and consumer behavior, Yoo’s research interests are appearance-related behaviors and their implications for individual and social well-being from consumer perspectives. He has conducted research on body-tanning behaviors, including sunless tanning, health perceptions of using appearance-related products; and green consumption, including bamboo apparel and hybrid cars. His research has been published in Clothing and Textiles Research Journal, International Journal of Fashion Design, Technology and Education; Adolescence; Household and Personal Care Today; and Human Factors and Ergonomics in Manufacturing and Service Industries. He also has been interviewed about his research and expertise in media outlets, such as Fortune, U.S. News & World Report and HealthDay. Yoo earned his Ph.D. in design from the University of Minnesota-Twin Cities, his master’s degree in clothing and textiles from Cornell University and his bachelor’s in clothing and textiles from Seattle Pacific University. AAFCS is based in Washington, D.C. and was founded as the American Home Economics Association in 1909. The Leader Award was introduced in 1984 to honor professionals who make significant contributions to the field through their involvement with AAFCS. Yoo said Baylor has given him great support enabling him to fully engage in the academic community. Yoo will be honored at the 110th Annual AAFCS Conference and Expo June 23-26 in St. Louis, Missouri. For more information, visit the family and consumer sciences website. The Robbins College of Health and Human Sciences at Baylor University was established in 2014, a result of identified priorities for strengthening the health sciences through Baylor’s strategic vision, Pro Futuris, and the University’s Illuminate academic strategic plan. The anchor academic units that form Robbins College – Communication Sciences and Disorders; Family and Consumer Sciences; Health, Human Performance and Recreation; Public Health; and Division of Health Professions – share a common purpose: improving health and the quality of life. The College’s curricula promotes a team-based approach to transformational education and research that has established interdisciplinary research collaborations to advance solutions for improving quality of life for individuals, families and communities. For more information, visit www.baylor.edu/chhs.